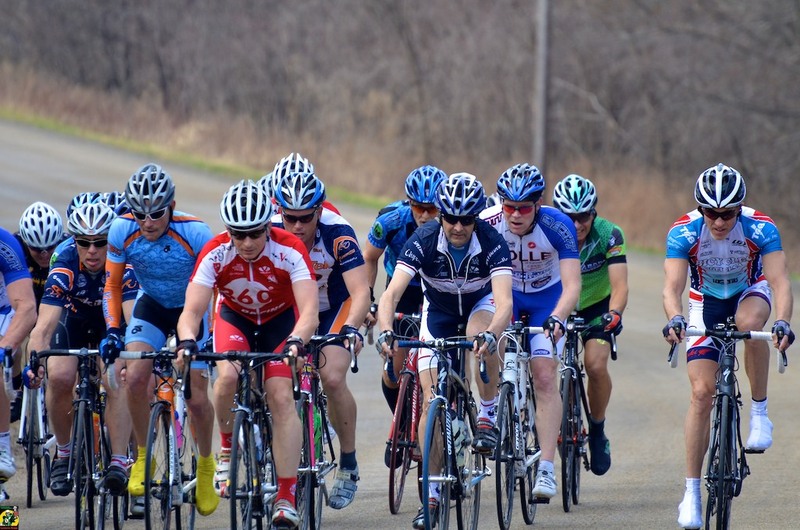 The first, and one of the few, timed stage race of the season in the area will be held in Lawrence this weekend. The Velotek GP offers riders three races over two days. 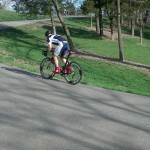 The stage race will commence with a short prologue time trial on Saturday morning at Wells Overlook Park in Lawrence. 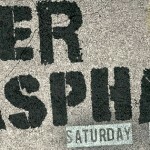 The short prologue will cover .86 miles on an uphill course; aero equipment (aside from non-disc wheels) is not allowed. 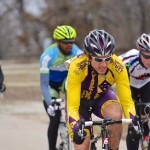 Once racers are finished testing their climbing legs against the clock they will head to Clinton Lake State Park to race the second stage criterium. This is the same location as the Spring Fling but riders will be competing on a different course. The 1.2 mile course is mostly flat with several curves and two 90 degree corners. Sunday’s road race is the 3rd and final stage of this event. The riders will race around Perry Lake just north of Lawrence. The 29 mile loop has a nice mix of rollers, hills, and flats and wind can be a big issue if it is blowing. Time bonuses are available on the finish of the road race and criterium. 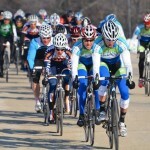 Riders may also earn some time in the mid-race prime lap at the crit. Registration for the event closes today so be sure to get online and take care of that if you plan on racing this weekend.